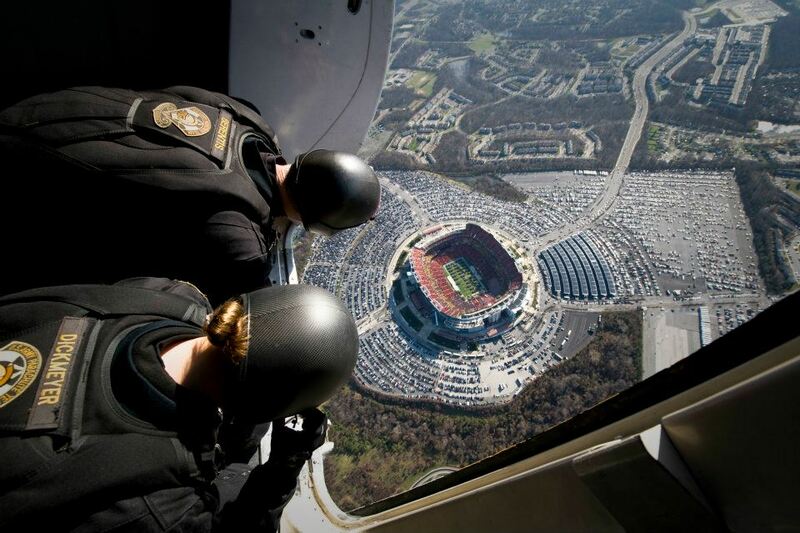 For those who thought they might have gotten into FedEx Field too late and missed the Army Golden Knights and Navy Leap Frogs parachute teams deliver the game ball, you can’t blame the long security lines for that too. High winds forced both parachute teams to stay in the plane forcing some ball boy to have to walk the game ball out to midfield instead. A real letdown for all involved, even probably said ball boy. But, hey, at least we get to check out these shots taken by Mass Communication Specialist 1st Class Meagan E. Klein and Mass Communication Specialist 2nd Class Clifford L. H. Davis. The photos were first posted on the Navy Leap Frogs’ Facebook page. 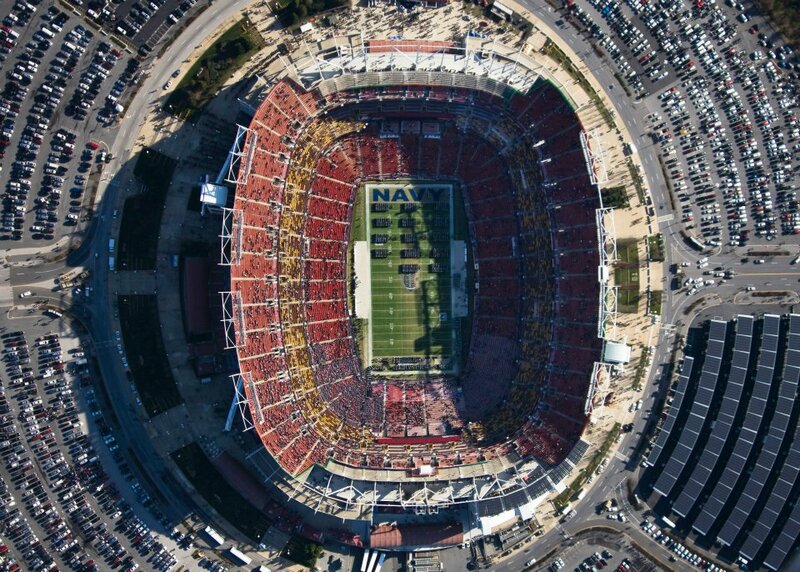 We don’t get to say this as often as we should, but well done Navy public affairs team.